Congratulations to the 26 students from Duval County who won an award from the State PTA. Only one student in each age/art category wins an Award of Excellence throughout the entire state. Only six students win an Award of Merit from each age/art category. We are so proud to be well-represented by the talented students of Duval County! 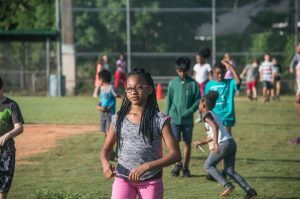 As schools across Florida reduce time devoted to recess and physical education, the rates of childhood obesity1, attention-deficit / hyperactivity disorder (ADHD)2, and other health concerns increase annually. Allowing time for exercise and unstructured activity is one treatment, among others, that is commonly recommended. 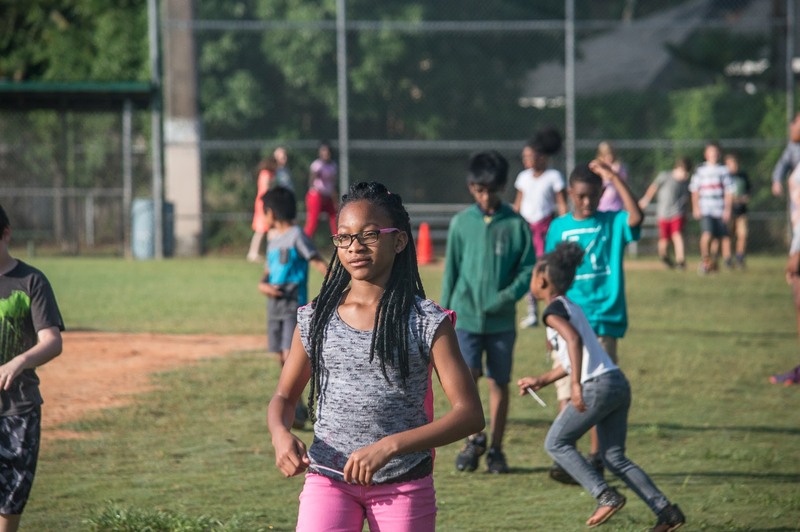 At Holiday Hill Elementary, we offer a before-school running and walking program to help all students add more activity to their day. Holiday Hill is in the Southside between Beach and Atlantic near University. We are a K through 5 with an enrollment of about 650, and 71% economically disadvantaged. Our PTA membership is about 300. In fall 2014 I worked with our PTA board to start the Morning Mile running program at our school after hearing about it from a friend in Gainesville. My daughter sometimes has trouble focusing in class so my hope in starting this was that she and other students could arrive at least at their first class more settled and ready to learn. We had no idea how popular and impactful this program would be! Each day at 7:45 am, an average of 75 students and about 4 parents or grandparents come to the P.E. field. We play music and they run or walk laps around the field for 20 to 30 minutes. During this time, the kids are free—to chat with their friends, race against each other if they choose, or play tag—while they do laps. The kids love it because it’s a period of fun in the school day, and because it’s an activity that they have chosen. It’s not a competition; they decide whether to walk, run, go with a group or just beat their personal best. For some, the only exercise they get is at school. They also love receiving their mileage charms at our 9-week awards ceremonies. This has made the program an important part of our school’s culture. Both parents and teachers have told me that these students are indeed much better able to focus when they arrive at class—and that’s only the short-term effect. We hope this helps them establish the habit of being active and healthy in the long term. Any student can participate any time. Every participant can earn mileage awards. Family members and community members can join in. In addition to parents, grandparents, and siblings, we’ve had Mayor Curry, Ashley Juarez Smith, Fire Station No. 1, and even Santa Claus run with us. The funding is donated by local businesses or corporations. It’s simple to maintain once it is started, since it only requires two adult volunteers per day. In the first two years of Morning Mile at Holiday Hill, our school grade went from a D to a B, more than half of our student body came out to run, and we collectively logged more than 20,000 miles. This program has turned out to be a great way to match up with PTA’s mission: it engages our families, strengthens our school community, and helps make every child’s potential a reality. If you are interested in starting a running/walking program at your school, feel free to contact me and I will help you get it started. Here is a great educational opportunity Tools for Success Family With Special Needs Conference. What does success look like for our youth? Please join Jacksonville Public Education Fund and our student presenters at one of our three regional events as we uncover ways to help our students achieve success ONE by ONE. Your perspective is needed! Too often, crucial public education decisions are made without the group that is the most affected by these changes: STUDENTS! So we have created an opportunity for the community to learn what you need to be successful so that together, we can make it happen! What can you do to make sure student voices are heard? Event is free, but registration is required at onebyonejax.org. Participating in any of the events counts toward your volunteer/community service hours if you attend the event with a tracking sheet from your school. Contact Joan Leslie at mailto:Joan@jaxpef.org to sign up! If none of these dates works for you, please reach out to Joan Leslie at mailto:Joan@jaxpef.org to explore hosting a conversation at your house or job place. We will send a trained facilitator for it. The Duval County Council of PTAs is pleased to offer six (6) $500 scholarships to students graduating from Duval County schools in 2019. This is a one-time (non-renewable) award of $500. There are several changes to the application. This year there are four scholarship categories: University & Fine Arts, Community College, Vocational-Technical and Adversity/Opportunity, each with specific GPA requirements. The Adversity/Opportunity scholarship is for a student who has an extenuating hardship situation that they are working to overcome. Additionally, these scholarships are available to students who are attending out of state schools, an option that was not available last year. Posted in DCCPTA, PROGRAMS, STUDENTS	| Comments Off on Florida State Reflections 2018 winners announced!